Janet Pavlik, Desmond Smith, and Eileen Smith have given us another chapter in the history of the Seymour area and North Vancouver’s eastern communities by recording the changes of the last sixty years. Written as a sequel to the 1989 Echoes Across the Inlet by Dawn Sparks, Martha Border, and Damian Inwood, Echoes Across Seymour was compiled as a local history with the contribution of the memoirs and narratives of several residents and with the support of the Deep Cove Heritage Society. The three authors bring a diverse expertise to the project. An engaged resident, Janet Pavlik has, since 1970, been gathering and contributing to the conservation and dissemination of her community’s stories. Desmond Smith, a retired planner with the District of North Vancouver, lends a resource development and land use perspective. Eileen Smith, a long time photographer in the Cove, is a writer for the Deep Cove Crier. Their Preface usefully situates the Seymour region within the larger history of North Vancouver and British Columbia; most valuable is their central theme, which makes a connection between the landscape and its residents. Bordered by the wonders of Burrard Inlet and Mount Seymour, North Vancouver’s eastern districts face the ongoing challenges associated with building a community in an increasingly affluent district that wishes to gentrify while remaining in harmony with its natural environment. Echoes Across Seymour is divided into 18 chapters, each representing a distinct neighbourhood. Subheadings such as environment, recreation, communities, industry, and people, as well as a multitude of pertinent archival and contemporary photographs, reveal each community’s individual history. Inlayed within the text are relevant timelines, chronologies, legends, and poetry describing the significance of these places. The anecdotal style makes for an accessible read for curious or nostalgic local inhabitants as well as newcomer and visitors. 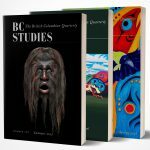 Its focus on compelling oral history and archival information makes Echoes Across Seymour a valuable contribution to British Columbia history and, as a detailed source book opening a window into a number of contiguous communities, it will also be of interest to academic readers. In welcoming readers to submit corrections and recollections raised in the examination of this book, the authors create a constructive space of knowledge production and exchange, which is a departure from scholarship in the print tradition. Pavlik et al. do not, however, appear to have reached very far beyond their own social networks for contributions and the book suffers from an apparent lack of racial, cultural, and socioeconomic diversity. Readers may want to turn to Warren Sommer’s From Far & Wide: Cultural Diversity in North Vancouver (2000), which provides an honest look into the struggles and lived realities of a wide spectrum of immigrants through their stories and photos. Although Pavlik et al. state that they do not “attempt to record the thousands of years of First Nations history in the Seymour area” (100), their chapter dedicated to the more recent history of the Tsleil-Waututh Nation would have benefited greatly from conversations with the Indigenous voices of this community, rather than the anecdotal recollections of outside bodies or the second-hand integration of speeches given in other contexts by Chief Dan George and Chief Justin George. To supplement the book’s limited information concerning the unceded territory and recent history of the Tsleil-Waututh Nation, readers are encouraged to consult Andrew Van Eden’s Tsleil Waututh Nation: People of the Inlet (2010) which offers a careful telling of indigenous knowledge and earlier relationships to the land. While this book could have better included the voices of those often silenced in histories of colonization or racism, it succeeds in presenting the history of North Vancouver’s eastern communities and opening a dialogue about changes within them. This volume is a welcome addition to the historical record of North Vancouver and its eastern satellites, which until now have not attracted much academic attention.